It’s time to aggregate the two timelines of May 2015 (Part I and Part II) into statistics. Nothing new for the Country Distribution: the US rank at number one (and the UK appear a valuable target either, as it gets the second place emerging over the other countries). The Daily Trend of Attacks chart shows a consistent level of activity during the first half, with a prominent peak around the 11th, and a decreasing trend until the end of the month. 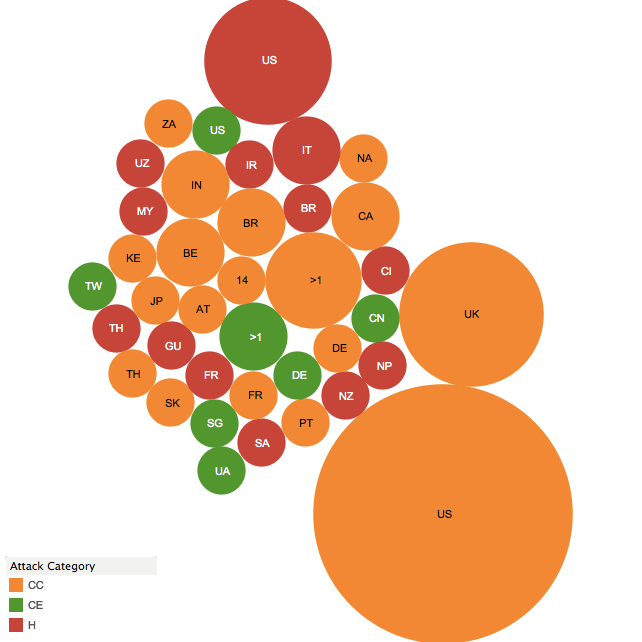 As usual, Cyber Crime ranks on top of the Motivations Behind Attacks chart with 68.5%. This value is considerably larger than the one reported in April (55.2%) and very close to 69% reported in March. The reason is that May was characterized by a peak of hacktivism driven by the operations carried on in name of OpIsrael. Once the effects are gone, hacktivism drops to a more “physiologic” 22.5% (was 32.2% in April), again very close to 20.7% reported in March. On the other hand, Cyber Espionage (9.2%) confirms a value similar to the one reported in April (9%). For the second month in a row, SQLi ranks on top of the Attack Techniques chart (among the known ones) with 16.9%. Targeted Attacks are in a roll, with a surprising 12.4% that overcomes the already surprising 11.5% reported in May, and places them in third position (among the known attacks) behind defacements (15.7%). DDoS, on the other hand, keeps on plummeting (3.4%). For the ninth month in a row, industry ranks on top of the Distribution of Targets chart with 24.7%, a decreasing value in comparison with 29.9% of April. On the other hand, governmental targets (number two) soar to 20.2% from 14.9% of April. Single individuals get the third place (10.1%), whereas educational targets fall to 5.6% , almost as little as half than 10.3% reported during the previous month, similarly to organizations (4.5% vs 9.2% of April). 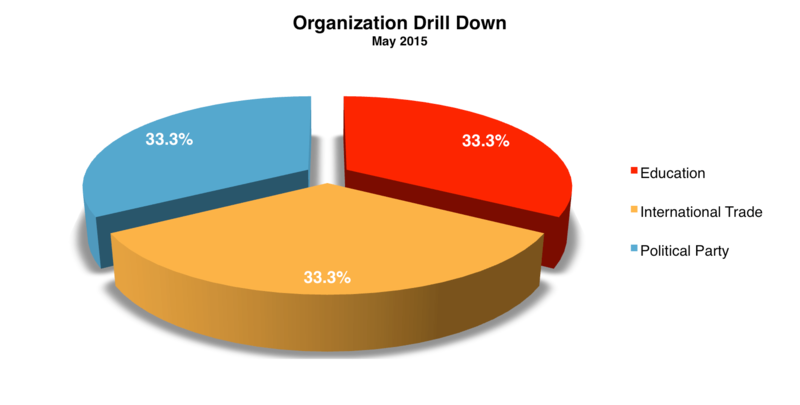 The Industry Drill Down chart confirms E-Commerce sites on top (22.7% vs 19.2% in April). On the other hand, the Organization Drill Down chart is not particularly meaningful this month, given the overall low level of activity against this class of targets. Of course follow @paulsparrows on Twitter for the latest updates, andfeel free to submit remarkable incidents that in your opinion deserve to be included in the timelines (and charts).